The good people at Apple want to give you the most out of your iPhone. 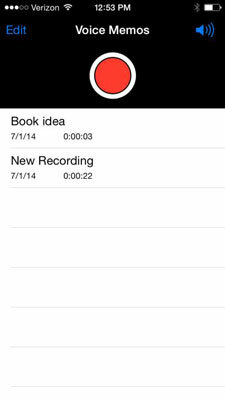 You can easily trim, rename and share your voice memos by following these simple steps. Perhaps you repeated yourself at the beginning of your memo. If you want to cut part of a recorded memo, you can trim it. 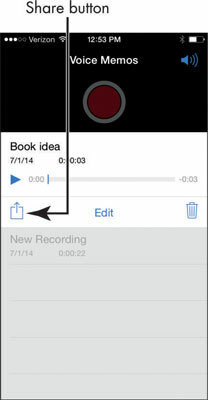 With the list of recordings displayed, tap any recording. The recording details display. In the Edit screen, tap the Trim button (it’s a little square with dots coming off of the left and right side) and then drag the lines on the right or left of the memo bar and drag inward to trim a portion of the recording. Tap Trim and a dialog appears. Tap Trim Original to apply the trim and save the recording, or Save As New Recording to apply the trim and save it as a new version of the recording. 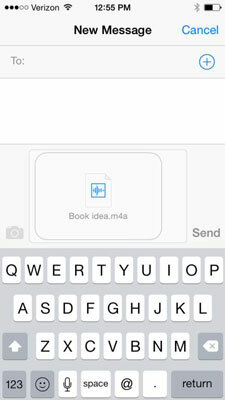 If you begin to trim a memo and change your mind, tap the Cancel button in the dialog mentioned in Step 4. You may occasionally have to rename a voice memo. With the list of memos displayed, tap a memo to display its details. 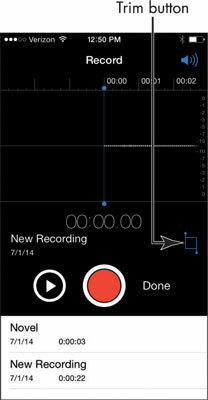 Tap the name of the recording to display settings. 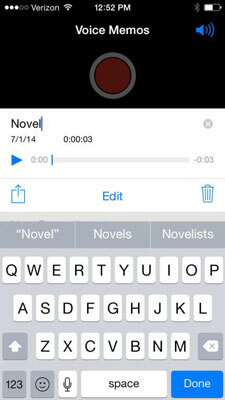 Tap Backspace on your iPhone keyboard to delete the current name; enter a new name and then tap the name of the recording at the bottom of the screen to return to the list of memos, where you see the memo now named with the label you just gave it. 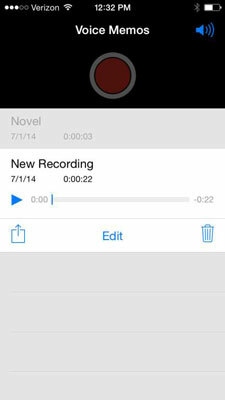 Sharing a voice memo is easy. Tap a memo in the list of memos to select it. 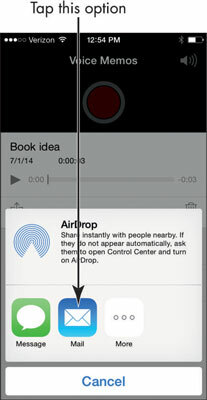 Tap the Share button (the box with an arrow pointing out of the top). In the menu, tap Mail to display an email form or Message to display a Messages form to send an instant message with the voice memo attached. You will see the voice memo attached. Fill in the recipient’s information, a subject if you’re sending an email, and a message, and tap Send. The voice memo and your message go on their way.